I was so pleasantly surprised by this book. 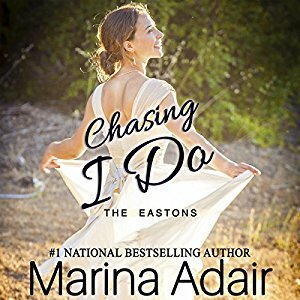 I already knew that Marina Adair was a good writer. Her books are easy to read with great characters. But this audiobook was a shorter one, so I really expected it to be a little short on story for what I enjoy. I was so wrong. This book was full of depth for the characters and the backstory and loaded a great emotional punch. I loved listening to it! My heart absolutely broke for Darcy especially and more and more of her story was revealed and it became obvious just how much she'd lost when Gage's brother betrayed her. But I also really loved that Gage and Darcy had been friends when she'd dated his brother, although he always felt more for her. This is a family of brothers (I love that) and I like how they all get together to talk through the family issues. They're really close and I do like that kind of dynamic in a book. Overall this was just a great audiobook. I'm just sad that none of the other books have come out since this book came out quite a bit ago(writing this as of August, 2017). I'm ready for more Eastons.